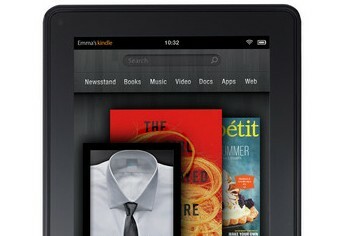 Early reviews of Amazon’s Kindle Fire tablet appeared on Monday, in advance of the device being received by customers. A mixed bag of impressions round out the reviews, which isn’t surprising because of the varying use cases for Amazon’s 7-inch Android tablet. Some are comparing it to the Apple iPad, which makes sense to a point, although few will be likely to own both devices. The iPad offers far more capabilities due to the larger display and wider range of third-party apps. Amazon’s Kindle Fire has fewer functions, but to some, can perform those admirably at less than half the price. The timing of the reviews coincide with my own decision to pre-order a Kindle Fire just yesterday: I explained my decision-making process of the Fire over the Nook Tablet here. If I like the Kindle Fire, I’ll end up selling my current 7-inch slate, a Samsung Galaxy Tab. But as I pointed out in my article, I don’t think consumers looking for a low-cost media tablet can wrong with either e-reading tablet. Yet, discussion around the web seems pretty polarizing between the Fire and Nook Tablet today, based on the initial reviews. I’ve had it [Kindle Fire] since Thursday — reading, watching video, listening to music, checking email, even playing some games — and I can say it’s tight. Turn it on and you know what to do, like with an Apple product. So much like an Apple product that Apple should be scared. The Fire is a marvelous device. And Apple and Amazon couldn’t have created a more complementary pair of tablets if they’d colluded on it. Want a tablet that does everything, and which does books exceptionally well? Buy an iPad. Want something more compact, and you’re not terribly interested in much more than content consumption? The Fire is aces. I feel as if every potential tablet consumer will recognize themselves in one of those two descriptions. At the end of the day, the Fire must be judged by how well it executes in terms of its Newsstand, Books, Video, Apps and Web features. It does nothing very well, save video playback, running various Android apps, and making the business of Amazon shopping alarmingly fun and easy. If you already have $200 in your high-tech hardware slush fund, and you’re not willing to splurge one cent more, I suggest you wait longer before pulling the trigger on a tablet. Let that nest egg build. Let it grow interest. Wait for the Kindle Fire 2. Or — yes, I’m going to go there — consider an iPad. There’s no lack of other reviews today and once my own Kindle Fire arrives, I’ll share my impressions. And of course, the Barnes & Noble Nook Tablet for $249 also arrives later this week, giving consumers another low-cost media tablet option. Between that forthcoming device and today’s reviews, commentary on Twitter is all over the map. Here’s a small sampling of the more interesting tweets I read today. After reading the Kindle Fire reviews, I no longer have much interest in the device. Will stick with my smartphone and second gen Kindle. #KindleFire: @Gizmodo loves it, @wired hates it, @engadget says "meh". Still waiting to see it side-by-side with a Nook Tablet.